[twitter]I’m not going to talk about which team I like better. I’m not going to talk about which team is better. I’m not going to talk about which arena is better. I’m not going to talk about who has more Stanley Cup banners. 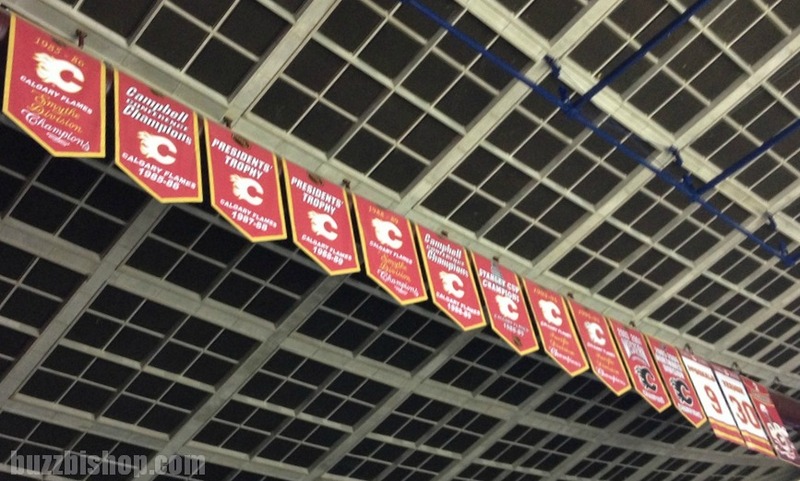 I’m just saying, the Vancouver Canucks have done their rafters right and Calgary needs a new set of banners in the Saddledome. The entire stay of the Calgary Flames has had red, black, yellow, and white as primary colors. 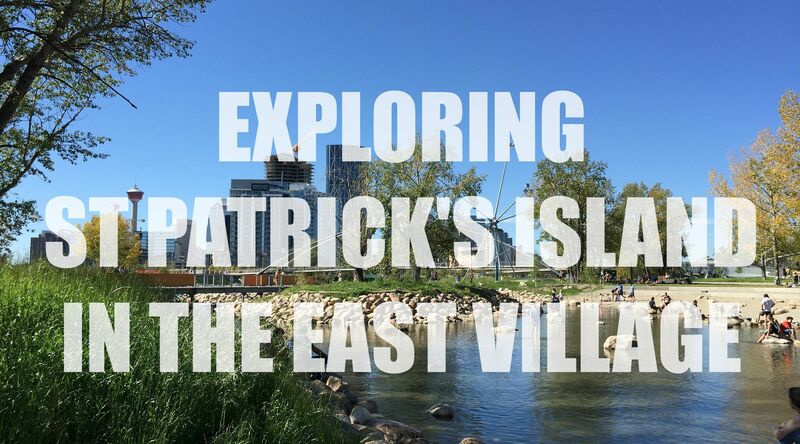 In Vancouver, they started as blue and green. 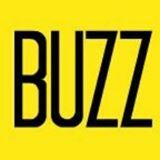 Then there was the yellow, black, and orange period. The blue, burgundy, and silver period followed before fading back to blue and green. Over those years, the Vancouver Canucks have won division and conference championships. They have retired jerseys and honored players. A cacophony of colors could rain from the rafters in Vancouver, but they don’t. 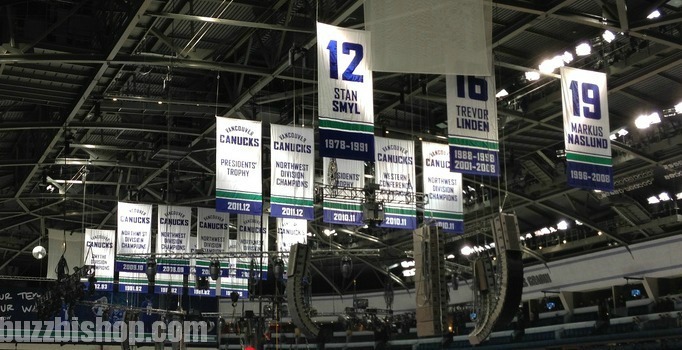 The banners at Rogers Arena in Vancouver share a tight, consistent look. In the past 2 years all of the banners have been redone to match. They all have the same typeface. The retired players’ jerseys all hang together in unison. The honored players look from higher above in the ring of honor. In Calgary, they’re a disaster. Different typefaces, different fonts, different logo sizes, and a Macinnis poster hangs next to Vernon‘s number without an explanation as to why the banners are different. It’s like the banners you see in high schools honoring the 1985 Junior Girls’ Volleyball championship. The Flames are a multimillion dollar operation. They are a championship organization. They need to clean up the rafters, and give things a professional appearance (and while they’re at it, they could clean up the Hitmen banners at the other end of the rink). While we will have to wait a few more years for the new arena, Calgary at least needs some new banners.